Tequila Tizoc Reposado is 100% Agave which rests in white oak for up to one year. 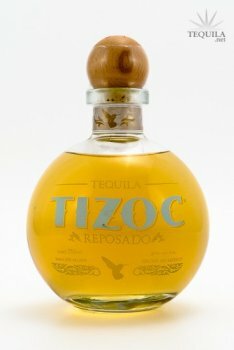 This perfect blend of Agave and oak creates the ideal aromas and flavors for Tequila Tizoc. Tequila Tizoc, 100% de origen, offers not only flavor, but also the unforgettable experience of a true Tequila: one which pays tribute to one of the most renown and fascinating Mexican traditions worldwide. The reward of the wait – The long years invested in the maturing of the Agave – is prominent the instant Tequila hits the palate, releasing more than 100 aromas that culminate in a delicious spirit. Tequila Tizoc harvests each Blue Agave after a period of 7-9 years, during which the plants nutrients saturate the "piña" or the heart of the Agave. Once the Agave reaches the point of optimal maturity, the expert hands of Tequila Tizoc jimadors cut the pencas and remove the piña, and then cut and cook them in an oven, during which the starches are converted to sugars. Maria Sabina, the Mexica healer, the "shaman", introduced to the world the ritual known as "the velada", a healing and purifying ceremony through the interaction with “angels” and use of hallucinogenic mushrooms. It is rumored that several cultural and social celebrities of the recent century such as "Che" Guevara, Bob Dylan and John Lennon among others, visited Maria in her native Sierra Mazatecan in search of the purification of their souls. In the mid 1950's, Pedro Infante delivered to Maria as an offering, a bottle of Tequila Tizoc. As the legend goes, since then and even after her death Maria has been seen imbibing this exquisite spirit. Aroma: A very green scent for an aged tequila. Lots of mint and pine to go along with the agave. Initial Taste: Grassy agave and pine needle type notes. Very "green." Body: Medium thin body. 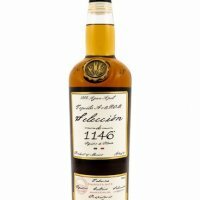 Nice agave sweetness with minty and green flavors. Very grassy. Finish: Continuing with the green profile. There's a nice minty and grassy finish with the agave and a slight spice kick. The best part of this tequila. A very green reposado. Lots of pine flavors and sweet agave. I like it, I don't love it. Just not my flavor wheelhouse. But, it's very well crafted and smooth. I'd dig it as a change of pace or use it to make a change of pace cocktail. I always like when tequilas "own" a flavor. This one does just that. If you like green tasting tequilas, I'll bet you'll like this one.